Get the Full StoryRaphael Assuncao defeated Rob Font by decision at UFC 226, and the Brazilian contender believes it earned him a crack at T.J. Dillashaw s bantamweight championship. A frustrated Raphael Assuncao just wants the respect he deserves and a title shot to go along with it. The UFC bantamweight contender picked up his fourth straight win on the UFC 226 preliminary card last Saturday in Las Vegas, defeating Rob Font via unanimous decision. Assuncao has only lost once in the past seven years, and that was to current champion T.J. Dillashaw two years ago. Yet the Brazilian has never fought for the 135-pound belt, but he hopes his one-sided victory over Font will change that. Hopefully it will bump me to a title shot, which is what I want, Assuncao said of his win after UFC 226 via MMAFighting.com . Even though it was a decision fight, I was able to, once again, showcase what I can do and change my strategy on the fly and implement what I wanted to implement in the fight. The biggest criticism of Assuncao s record is that he goes to the judges more often than not. That said, before the Font fight, he was coming off a knockout win over Matthew Lopez. 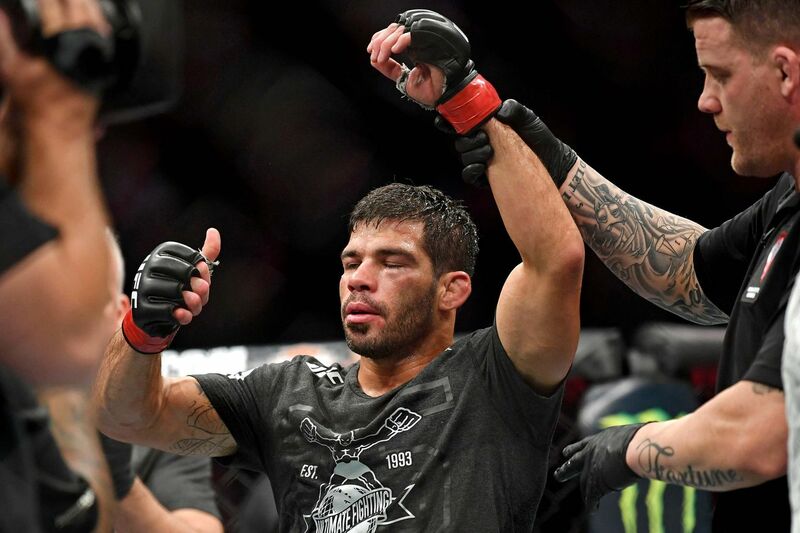 But Assuncao believes consistently having 15-minute fights provides him with experience and perhaps even improves his skill-set more than quick finishes would. I m gonna be even more experienced, he said. I might not get all the knockouts, I might not kick everybody in 30 seconds, but the experience is there no one can take that away from me. Right now, the 35-year-old isn t interested in a fight that is not the winner of Dillashaw vs. Cody Garbrandt 2, which takes place at UFC 227 next month. I don t have any other interest, Assuncao said. Who am I gonna fight? My twin brother, Freddy? I campaigned for the Dominick Cruz fight FOX completely disregarded my campaign. This guy has 15,000 followers. So it didn t happen. I ve beat Marlon Moraes . This guy knocked everybody out, but I said, Yeah, let s fight Marlon. A newcomer into the UFC, let s fight him. I accepted every fight. I have never missed weight in Zuffa 10 years. I never pulled out of a fight in 10 years with Zuffa. Never. I sign the dotted line; that s the fight that I ll fight. What else can I do? Assuncao said getting himself motivated for the Font fight was a little difficult, considering Font s No. 11 bantamweight ranking going into the bout. Assuncao had a lot to lose and not much to gain. I sat back and talked to my family, Assuncao said. They said , Don t take this fight for granted. Don t be less motivated. It s your job, keep being the professional that you are. Here we are another victory, and I m happy about it.